"It is our mission to provide English language instruction of the highest quality, in which people can learn to their full potential, develop a deeper understanding of the United States, and always receive courteous and knowledgeable service." Our Intensive English Language Programs quickly teach students from the beginning to advanced levels. We offer our students an excellent variety of courses, from structured skill-building to high-interest conversation to rigorous academic preparation. The UC San Diego English Language Institute (ELI) offers courses to students age 18 years of age and older throughout the year. Testing at the beginning of the program will determine students' class placement. This program is for students and professionals who would like to focus on preparing for the internet-based TOEFL test. Intermediate to advanced levels of English proficiency (ELI core levels 103-110) may take this program. Student's English proficiency is determined during the first week of the program (week 0). This program is for students who plan to enter an American university, and for professionals who want to improve their writing skills for their career. There is a strong emphasis on English fluency and academic skill development in this program. Students who have advanced English proficiency have more elective choices. All levels of English proficiency (ELI core levels 99-110) may take this program. A student's English proficiency is determined during the first week of the program (week 0). This program focuses on preparing students to enter a bachelor's or master's degree program in highly selective and competitive American universities. Advanced levels of English proficiency (ELI core levels 109-110) may take this program. (Equivalent to a 90 iBT or 7.5 IELTS.) Student's English proficiency is determined during the first week of the program (week 0). New students must achieve advanced levels (core level 109-110) of UC San Diego-ELI proficiency placement tests with certain minimum scores on UC San Diego-ELI's writing and and listening placement tests (equivalent to 90 iBT or IELTS 7.5). Continuing students coming directly from UC San Diego's ELI 10-week programs must have excellent attendance and grades in previous ELI classes, placement in one of ELI's highest proficiency levels, and certain minimum scores on ELI's placement exams. Students must submit copy of transcripts in English for the four most recent semesters of academic studies. These transcripts must show excellent grades, and that the student is in the top 5-10% of his/her school. Students who have completed at least one 10-week English language program at UC San Diego English Language Institute (ELI) at an advanced proficiency level, who demonstrate superior performance in their home universities, and who have achieved high final grades in all classes can be considered for admission to the Intensive Pre-University (IPU) program. 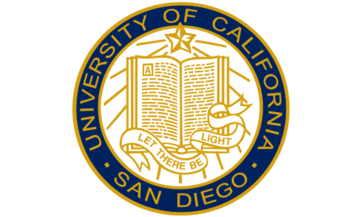 The UC San Diego Academic Advisor will explain the academic selection criteria and language proficiency requirements to interested students who are currently studying at UC San Diego-ELI. Student who have not completed at least one quarter of successful studies at UC San Diego-ELI in the quarter prior to the desired IPU program start-date may not apply to the IPU program. Students take a combination of English language courses and university and/or university extension credit courses. Advanced levels of English proficiency (ELI core levels 109-110) may take this program. Student's English proficiency is determined during the first week of the program (week 0). Students must complete at least one 10-week English language program at UC San Diego-ELI, and who have received a grade of B or better in every ELI class. Student must achieve advanced levels (core level 109-110) of UC San Diego-ELI proficiency placement tests with certain minimum scores on UC San Diego-ELI's writing and and listening placement tests (equivalent to 90 iBT or IELTS 7.5). Students must have excellent attendance in previous UC San Diego-ELI classes. Students must submit copy of transcripts in English for the two most recent years of academic studies. These transcripts must show excellent grades, and that the student is in the top 10% of his/her school. Wide variety of courses for academic preparation and cultural understanding. This program is for serious academic students who want to focus on developing fluency and accuracy in all language skills. Considerable time is spent on grammar, reading, and writing. Intermediate, high-intermediate, and advanced English proficiency may take this program. Student's English proficiency is determined during orientation at the time the student arrives to UC San Diego English Language Institute (ELI). This program is designed for professionals and students seeking to upgrade their English skills in the work place. Curriculum includes fundamentals of the English language, plus specialized courses in business such as marketing and finance. High-intermediate and advanced levels of English proficiency (ELI core levels 105-110) may take this program. Student's English proficiency is determined during the first week of the program (week 0). This is a program for serious students who want to improve English fluency through business content studies. Students with high-intermediate and advanced English proficiency may take this program. A student's English proficiency is determined during orientation, when the student first arrives at the UC San Diego English Language Institute (ELI). Students who do not have the required English level proficiency for this program will take Conversation and Fluency (beginner, low-intermediate, and intermediate levels). UC San Diego's Business Programs for International Students - "Chase your dreams, ignite your career, and connect to the world." These programs are for serious students with at least one to two years of full-time paid professional-level work experience in a business environment. Internships and part-time work will not be counted towards this requirement. Qualified students will learn about U.S. business practices and gain necessary skills and knowledge for a career in business. The three-quarter program is the best option for students who would like to apply for Optional Practical Training (OPT). Complement the classroom experience and build your professional contacts by completing a 120-hour unpaid internship at a reputable company. After two quarters, receive a Professional Certificate in Business Management with a specialization in Finance, Human Resources, Marketing, or Global Commerce. Apply for OPT after three consecutive quarters of study. Note: UC San Diego Extension International Programs follow a quarter system. Each quarter consists of 10-12 weeks of full-time study. There are four quarters per year. The Intermediate Business Essentials program is reserved for the student who has obtained a bachelor’s degree, possesses little or no full-time, post-university, professional work experience, and demonstrates a high level of English language competency. After three consecutive quarters of study, students are eligible to apply for Optional Practical Training. This program can be taken for one, two or three quarters. Students have elective options in both quarter two and quarter three. Study alongside international and American students in some classes and build your network. The Business Essentials program provides students with a comprehensive overview of U.S. management practices and skills. Designed to provide a comfortable learning environment for international participants with limited work experience, the program presents opportunities for students to compare and contrast business practices around the globe. Students must also be 21 years old or older. If students stay for three quarters, they will be in class with American students during their second and/or third quarter. After three consecutive quarters of study students are eligible to apply for Optional Practical Training. Develop business skills, knowledge, and abilities by learning American business fundamentals. Participate in multiple business modules and get broad exposure to varied business disciplines. Complement classroom work and gain practical experience in an American workplace by completing a 48-hour unpaid on-campus internship. Study alongside international and American students and build your network. This three-month course is a foundation course in Teaching English as a Foreign Language (TEFL) for non-native English speakers. Participants who would like to focus on the development of effective classroom teaching skills and modern English language teaching techniques to students in non-English speaking countries and to non-immigrants in U.S. classrooms. Participate in the Summer Intensive Professional Certificate in TEFL, and complete all of the courses for the six-month Professional Certificate Program in TEFL in just three months. The minimum requirements to be accepted into this program are listed below. We carefully review the background and qualifications of each applicant to ensure that those admitted into the Summer Intensive TEFL Certificate program will have a successful experience. This is a full-time three-month program of select courses in TEFL and other academic areas to enhance teacher preparation. Students must choose and enroll in a total of 12 UC San Diego Extension units, with the advice and approval of the TEFL Coordinator. The minimum requirements to be accepted into this program are listed below. We carefully review the background and qualifications of each applicant to ensure that those admitted into the Special Studies in TEFL program will have a successful experience. International Students who are already enrolled in the full-time Teaching English as a Foreign Language (TEFL) certificate program or the Special Studies in TEFL certificate program, and who are interested in attaining additional competencies in teaching English as a foreign language, may enroll into the Teaching English Grammar (TEG) program for an additional certificate fee. This certificate can be fulfilled by taking 2 required courses (3 units each) and an additional 6 units of electives. The required courses and electives are not all offered in one quarter. It may take up to three quarters to complete this certificate, and students will need to pay for the additional units that are not included within the full-time TEFL and Special Studies in TEFL certificate programs. International Students who are already enrolled in the full-time Teaching English as a Foreign Language (TEFL) certificate program or the Special Studies in TEFL certificate program, and who are interested in attaining additional competencies in teaching English as a foreign language, may enroll into the Teaching English to the Young Learner (TEYL) program for an additional certificate fee. This certificate can be fulfilled by taking 3 required courses (3 units each) and an additional 3 units of electives. The required courses and electives are not all offered in one quarter. It may take up to three quarters to complete this certificate, and students will need to pay for the additional units that are not included within the full-time TEFL and Special Studies in TEFL certificate programs.